New Expanded Location Now Open! A selection of our original oils on canvas that are available in the gallery are shown on the right. On the left are more examples of original art shown in our gallery. Stop in the store and browse an even greater selection. 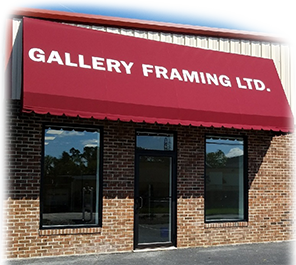 Gallery Framing in Timonium Maryland features original artwork, oil paintings, acrylic, photographs and other fine artwork in a gallery setting. As a Baltimore art dealer you can be assured of high quality paintings by local, national and international artists. Our gallery is only minutes from the Baltimore Beltway and convenient to Towson, downtown Baltimore City MD, Pikesville, Reisterstown, Hunt Valley, Lutherville, Cockeysville and other areas of Baltimore County. If you are looking for custom picture framing, posters or original art by local artists in the Baltimore area including Timonium, Cockeysville, Towson, Lutherville, Mt. Washington, Owings Mills or Pikesville please make sure to stop by Gallery Framing.